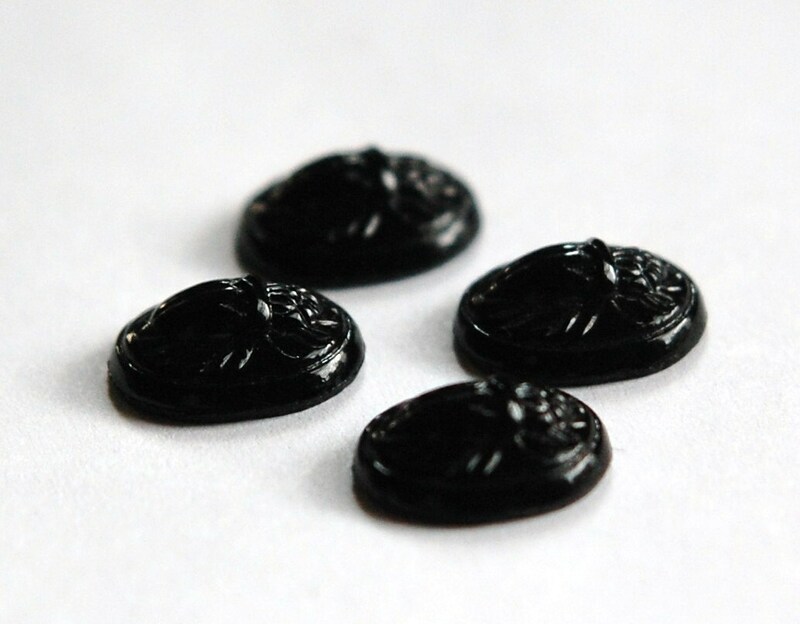 These are vintage, Cherry Brand, glass scarab cabochons that were made in Japan. 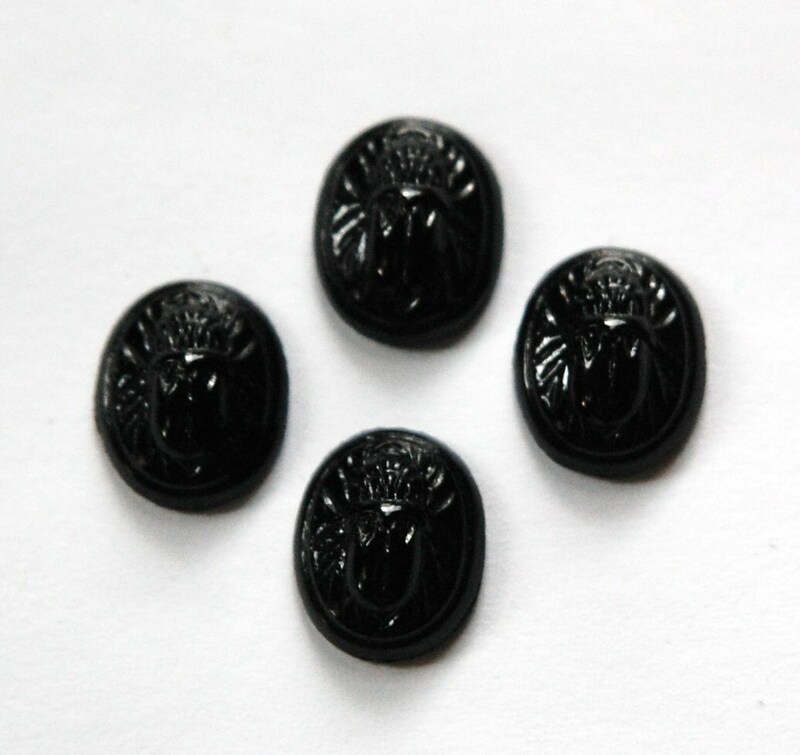 The top is etched with a scarab design and the back is flat. These measure 12mm x10mm. You will receive 6 cabs. super fast shipping, item as described, thank you!